Due to an overstock of bikes, we are having an As-Is Bike Blowout Sale! 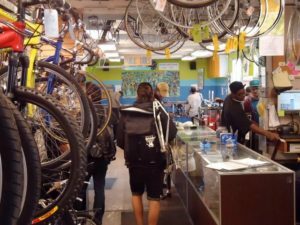 We have hundreds of as-is bikes, frames, parts, and accessories that all must go! Complete bikes as low as $10! Unique and rare bikes deeply discounted! Don’t miss it! More info at their Facebook event link!